What to do when you run out of ideas what to cook on a weekday and not in a mood to stress your brains? 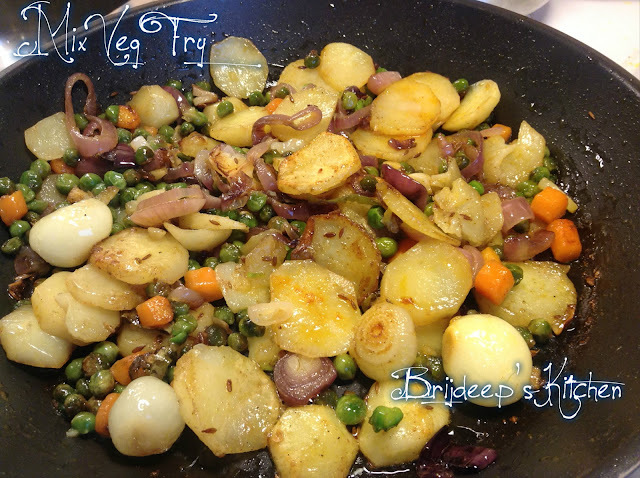 Yes, the famous mix vegetable.. That's what we do as well.. This recipe is basically my husband's. He passed it onto me sometime ago. 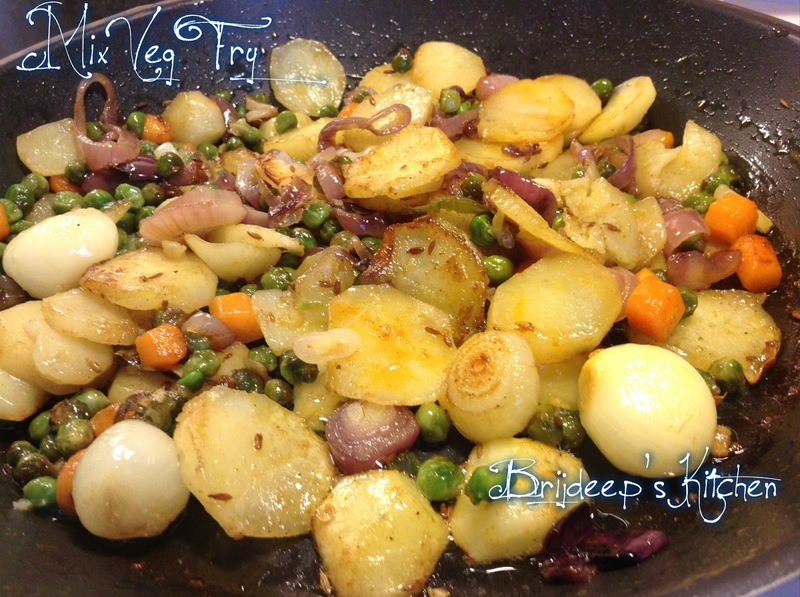 Simple stir fried vegetables which is easy to make and light on the tummy. Heat oil and crackle cumin seeds. Add dried red chilli, ginger, garlic, green chilli and sauté for a minute. Add the onion rings and peeled baby onions. 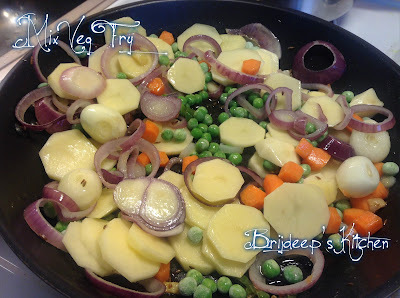 Add potatoes, carrots and peas. Sprinkle salt and let fry on medium-low flame for about 10 minutes. 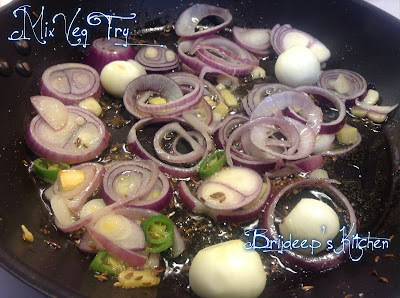 Add the garam masala, mix well and cook for another 5-7 minutes till all the vegetables are fried well. Turn off the flame and serve.